The lush green valley of Haría is a beautiful place to discover on a walk, there are numerous paths and trails to be found in the countryside. 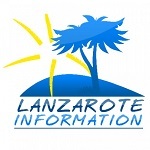 Haría council have launched a new website for tourists visiting the municipality, which includes 3 walks from the town, each estimated to take 1 hour and 30 minutes. There aren’t any local signposts specifically for these walks, you can download the route in Google Earth and there are some basic directions as to how to find the footpaths. We also found a Caminando Haría guide which is available for download. This is an easy level 6.45km distance walk on the south west side of the valley, however the Barranco de Elvira Sánchez section is a dry river bed in the summer months but can be muddy and overgrown during the winter. Depart from the Plaza de la Constitución by Bar Ne Ya in the centre of town, follow the signs for Casa Museo César Manrique which start at the side of the library and Ayuntamiento de Haría building. Note there are white painted footsteps on the tarmac, leading the way up to the house of Manrique. Slightly further on from Manrique’s house, turn right at the padel courts and around the side of the football ground to the main entrance (Campo de Fútbol de Haría), follow this track straight on through the fields on either side. When the track ends at a gate, head left, into the Barranco de Elvira Sánchez. When the barranco meets the track at the end, turn right circling the base of Montaña de Aganada. Take a moment at the Mirador del Rincón to admire the view over the the Archipelago Chinijo and down to Famara. Continue along the track to descend into the town of Haría. The second walk circles the volcán de La Atalaya between Haría and Máguez, listed as an easy walk with a distance of 5.67km. Calle de Barlovento and Barranco de Tenesía are also riverbeds so can be muddy after rain. Depart from the Plaza de Haría, along Calle La Hoya (past the Pharmacy) turning right onto Calle San Juan. In a short distance, the Tony Martín statue of a Canarian lucha wrestler is on the right of the road, and the footpath leads off on the left, this is Calle de Barlovento which leads right into the Barranco de Tenesía, eventually meeting the LZ-206 road to Máguez. When you meet the road, turn left in the direction of Máguez and follow until you see the GR 131 footpath track leading off to the left, which leads up to the top of volcan de La Atalaya. At the top of the climb, there is a track which leads down back into the village, this is the path, but first if you want to see the Cuevas de la Atalaya, follow the track left. To be honest these caves are in a bit of a state, with lots of rubbish inside from parties held in this location, they really could do with a clean up, especially now they’re on the tourist map. When you head back down the hill into Haría along Calle del Molino you will arrive back on Calle San Juan and the back of the Plaza de Haría. This is the longest walk of the 3 routes, still classed as easy the distance is 7.2km. The start and ending is the same as route 1, the difference is that you climb up to enjoy the view from the Mirador de Haría in the middle. Slightly further on from Manrique’s house continue straight on up the dirt track to the left of the football ground & padel courts. Around the corner, the track splits, follow the sign for Llano de la montaña, taking the right fork. The footpath now zig zags the LZ-10 road, cross the road twice, climbing up until you reach the abandoned building on a viewpoint, which is due to be restored into a flora & fauna centre in the future. Here the view opens up down to Tabayesco & Arrieta as well as back into the valley of Haría. The footpath continues up and on towards Teguise, but for this walk, descend one section again until the Malpaso sign, keep on the road for a short distance and you will pick up the track on your left to skirt around the base of Montaña de Aganada. 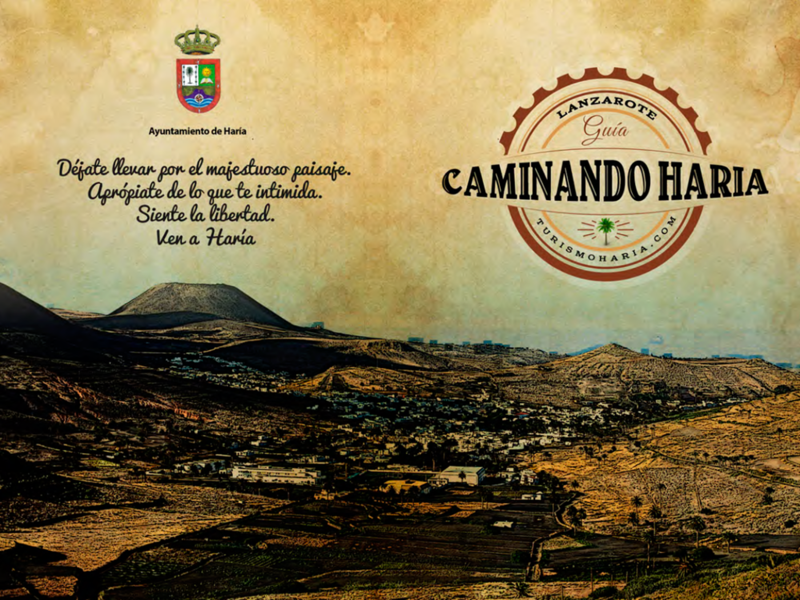 7 new walks have been added to the Caminando Haría section of the Turismo Haría website. At the moment they are detailed in Spanish however they are currently being translated into different languages. These walks are aimed at taking 90 minutes and at an easy level.